I met Ralph de Toledano only last year. Suddenly, I had to meet him. 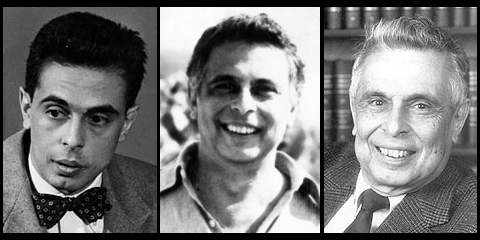 However, after the death of my grandfather, Whittaker Chambers, our families had not kept in touch. Fortunately, Ralph was not hard to find and was delighted when I called. He suggested we meet at his old stomping grounds at the National Press Club. At the appointed time and date, we met upstairs on the fourteenth floor, in the members’ bar. Ralph was a tall man, nearly 90. He had survived intestinal cancer, though not without scars. While a bit unsteady, he was still bright-eyed and was warmly welcoming as we sat down. Lunch was on him, of course: It was his treat to his old friend’s grandson. It was hard to know where to start talking. Conversation was hampered partly by the deafness of age. Part of it was due to the memory of Whittaker Chambers that played across his face faster than he could utter words. He started to tell stories several times but quickly broke off in mid-sentence, all the time smiling. I knew he missed my grandfather, and the memories were happy. Then Ralph asked me whether I had read Notes from the Underground. I had come because I had read the book, I said — and to thank him. I told him about the letter I had read. That record of Germaine Montero’s he had given Grampa, her recital of Garcia-Lorca’s “Lament” that Grampa had enjoyed so much? It had come down to me. I had listened to it many times, but I had not known until those letters that it had come from him. Thanks to that record, I told him, I had been sure to read Federico Garcia-Lorca, had read about the Spanish Civil War, Pablo Neruda‘s memoirs and poetry, Abel Paz‘s account of Durruti‘s Column, Orwell‘s Homage [to Catalonia]. Through that record, I had come to know of many of the leaders and intellectuals involved in that prelude to World War II. Because of that record, I had listened to my mother’s copy of Germaine Montero singing Brecht‘s Mother Courage, as well as my grandfather’s copy of Lotte Lenya Sings Kurt Weill. Ralph loved music, and his face beamed. Again, I thanked Ralph for his gift. He quoted something in Spanish I could not follow, but it did not matter. Looking at his face, I realized that in thanking him, I had given him something back in return. By learning of this lasting affect on our family, Ralph had touched his old friend again. Just a few weeks ago, I happened to pass by the National Press Club again to see Ralph. He was not there. He had been in the hospital, reported Jack, the barman. Jack did not expect him to come to the Press Club anytime soon, but I could call Ralph at home. Meanwhile Jack would pass on my regards if he talked to Ralph. Then he asked my name and instantly remembered my sole visit more than a year ago: you are the grandson of Whittaker Chambers that Ralph met here. That’s right, I said — what a thing memory is. an Andalusian so true, so full of adventure. I have just finished reading Witness. Any reader of Witness who has a sense for truth will know at once that Witness is the work of a truly great and honest man. My copy of Witness is stained with tears of grief. If it is possible to love a man through his autobiography, yes…I love and revere your grandfather. 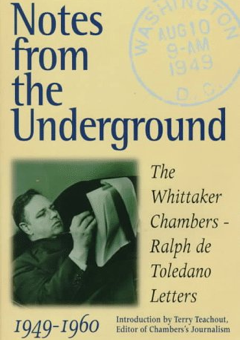 If honesty, truth and wisdom survive the horrors soon to befall us, history will surely bestow kindness and gratitude upon its remembrance of Whittaker Chambers.